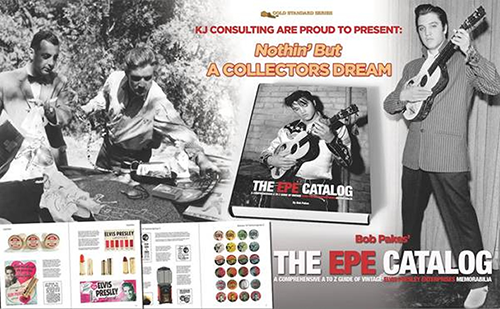 'The EPE Catalog' is a new book In The Gold Standard Series. The publisher is Erik Lorentzen. The author is Bob Pakes, the guy who knows everything about what was going on regarding Elvis' merchandise in the fifties. Almost 400 pages with some sensational photos.